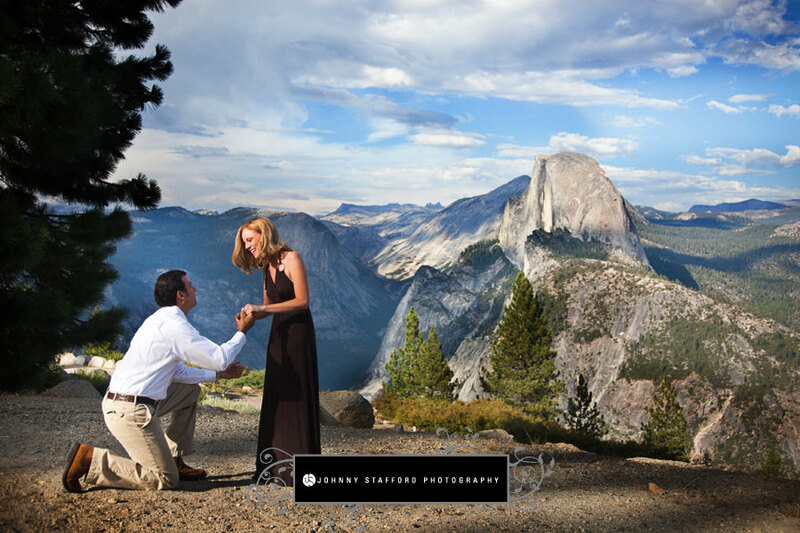 There is nothing more romantic than a marriage proposal, especially one overlooking Yosemite Valley at Glacier Point . It was a gorgeous day when we arrived. A storm had just passed through and gorgeous clouds surrounded Half Dome. As Jen and Rick were admiring the view, Rick bent down on his knee. It was such a beautiful moment! Afterwards we took some more portraits for their e-ssession. Jen looked so beautiful. She had her hair and makeup done earlier in the day by Carol Silva. We are so excited for their wedding coming up next month. Joseph | IQ Photo - Impeccable view! 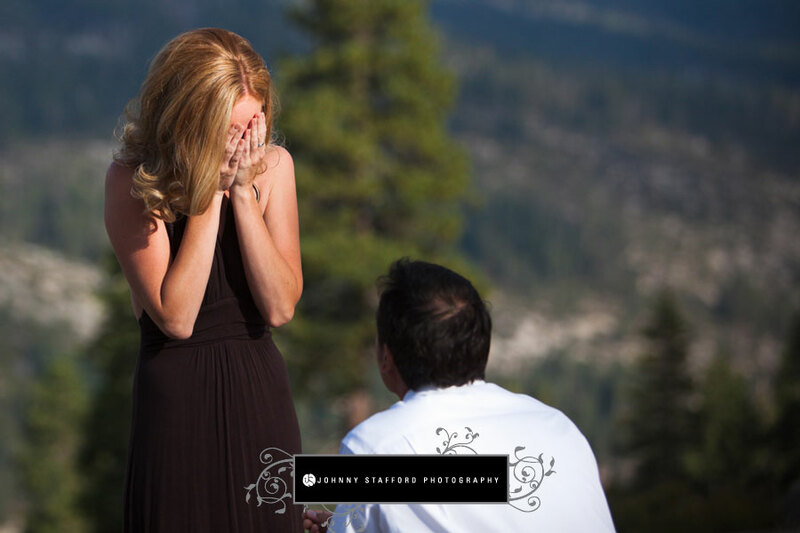 I like the place where the engagement took place; it creates a rich vibrant color and nice lighting. The last photo struck me. It looks more surreal than real.